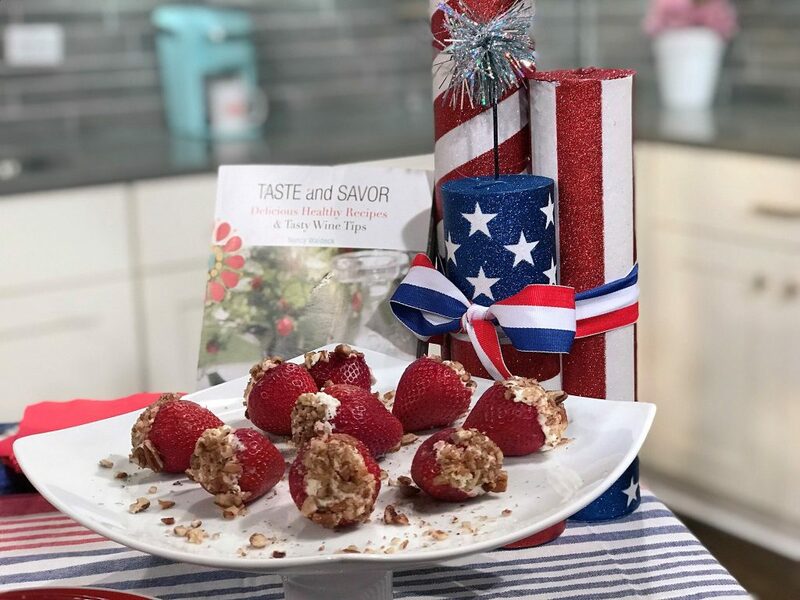 Memorial Day is just around the corner – and as the kickoff to summer fun – many of us will be picnicking, patio dining and enjoying the great outdoors! 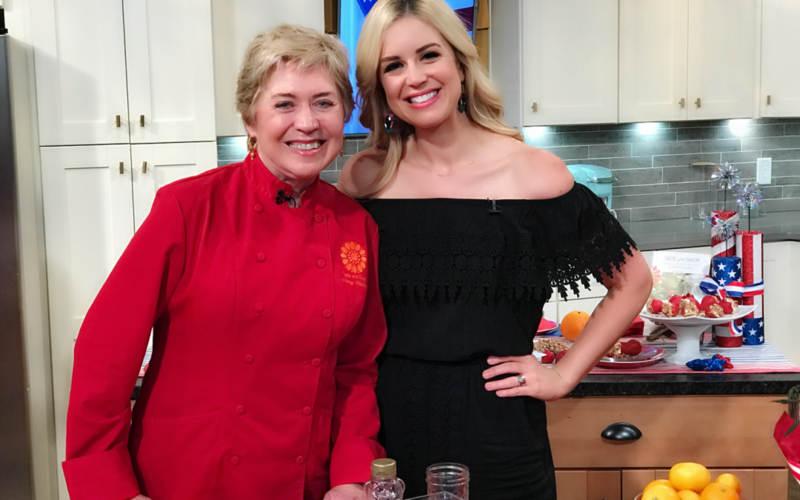 I loved sharing 2 fun and easy appetizer with host Cara, that are great for sharing, along with a perfect wine idea. Shake first 5 ingredients together in small jar. 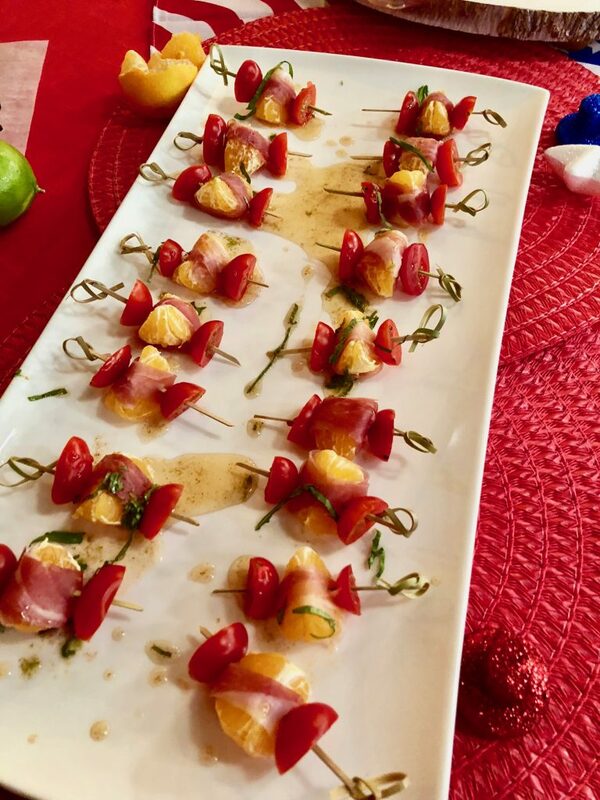 Wrap a strip of basil and then a strip of ham around each Clementine wedge and skewer with toothpick. Scatter skewers and grape tomatoes on a platter and drizzle with honey lime dressing. OR skewer the ham wrapped orange segments and the tomatoes and drizzle with dressing. Transportion these yummy berries to a picnic? 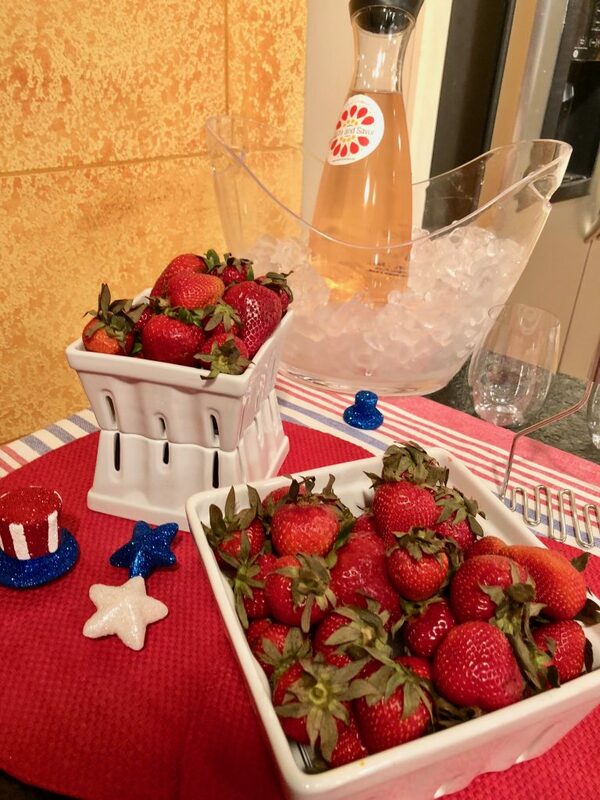 Wrap the stuffed strawberries individually in plastic wrap and take it with you in your cooler – stays delicious and refreshing all day long. Hull Strawberries and set aside. Mash the goat cheese with the orange zest. Stuff the strawberries and roll the top in nuts. Pink goes perfectly with Memorial Day munchies! I served up the wine from a plastic juice bottle – you don’t want to carry glass to the great outdoors! Crisp and refreshing – serve it cold! Use plastic wine glasses – I like glasses with a thin rim that helps you enjoy it more – I find glasses like this at the grocery store! Esprit Gassier Cotes du Provence – about $15 at the grocery store! Made from traditional grapes like Grenache and Syrah, its crisp peachy flavor will be a hit at your party.